Help Improve Prismata's Wiki... and Win Awesome Prizes! To kick off the contest, I’ve also written up my own highly-detailed article on one of my favourite Prismata units—the Hellhound. It’s pasted below; feel free to use it as a model for your own articles, or even improve it! Grand Prize – The top contributor at the end of the contest duration will receive a first edition Prismata T-shirt from the game developers, which features a Prismata logo on the back, and depicts an Animus, Blastforge, and Conduit on the front. Only 100 of these have ever been made and this design will never be reprinted, making it a true collector’s item. The top contributor will also get to work with the Prismata devs to develop their very own text-based Prismata emote to be included in the game when arena mode is added. Major Contributors – Five (5) of the next top contributors will get to work with the Prismata devs to develop their very own text-based Prismata emote to be included in the game when arena mode is added. 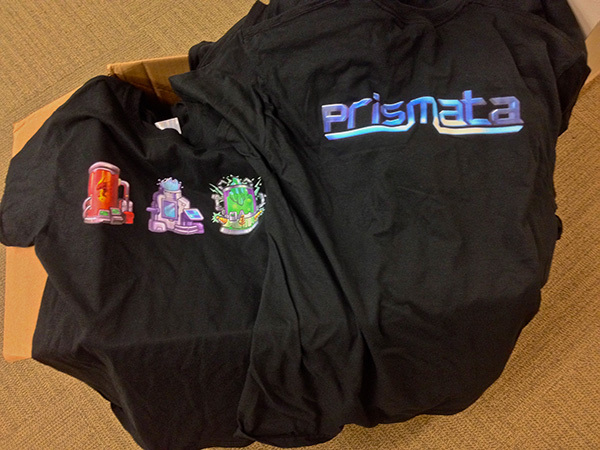 The winner gets a rare limited-edition Prismata T-shirt, featuring the three tech buildings on the front, and the classic Prismata logo on the back. Only 100 of these exist. TL;DR: all you have to do is edit the wiki. To ensure that your edits are counted, you need to be logged in to make them, which means you’ll need to create a Gamepedia account (don’t worry, it’s easy). The Gamepedia folks are automatically handling the rest of the contest, and they will pick winners based on the quality and volume of each entrant’s contributions. Editing articles on Gamepedia is pretty straightforward; you just hit “edit” and can then make changes right away. They have a simple markup that can be used for formatting and linking, but being as lazy as I am, I found that the easiest thing to do was just copy the formatting from another existing article. Q: What Can I Add to the Wiki? A: Literally anything that might be of interest to the Prismata community. Write strategy articles for Prismata units (many currently have an empty strategy section, or a very short stub). 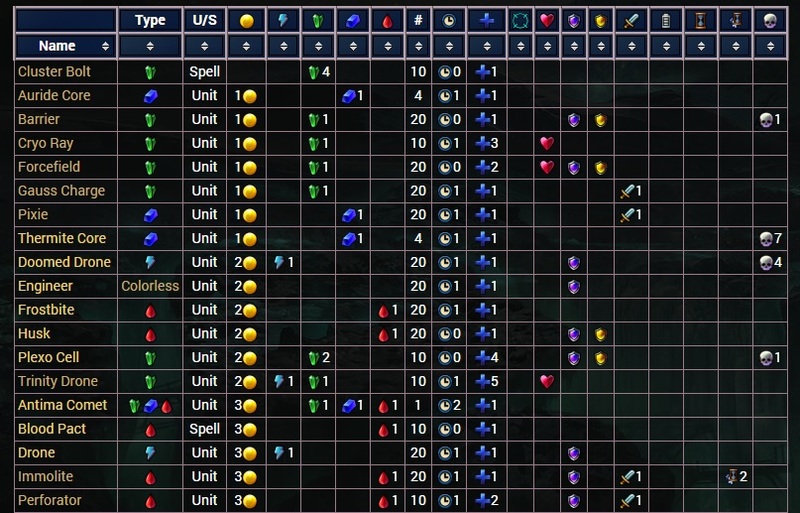 These can include all sorts of sections like unit strengths and weaknesses, hard and soft counters, combos and nonbos, etc.. The sky is the limit. Write articles on different game concepts like rushing, breach-vulnerability, chill, and “breach me” strategies. Add specific build orders or openings to your favourite Prismata unit pages. Add more links to relevant replays. Watching a Prismata streamer and notice a particularly spectacular or instructive game that highlights a particular unit or strategy? Ask them for the replay code and see if they’d like their game featured on the Wiki. Help to organize or link other content. Great articles never get read if other articles don’t link to them, so add more links! Add categories or lists to help organize the Wiki’s content. List of units that make use of engineers? List of units that sacrifice drones? List of most breach-vulnerable units in Prismata? Add pages for events (like the Prismata Global Challenge or Scorchilla Cup) or famous games (e.g. Kripp vs Kolento) with external links to event pages, youtube or twitch VODs, etc..
Make infographics or other art for existing articles. Keep the Wiki clean and up-to-date as new content is added. To get things kicked off, I went and wrote a Wiki article for one of my favourite Prismata units—the Hellhound. I hope this article gives you lots of great ideas for new articles, or ways to improve existing ones. That will be all for today’s blog post, but if you’re interested in having a read, I’ve pasted the new Hellhound article below as well. It could still use lots of improvements, including more openings, sample games, and further strategic explanation; feel free to edit it on the wiki! Generally speaking, Hellhounds are highly efficient, cost-effective units. At a cost of 5BR, it’s useful to compare the purchase of a Hellhound to that of a Tarsier plus a Pixie (also costing a total of 5BR). If the Pixie is used right away, the Pixie and Tarsier together deal the exact same amount of attack as the Hellhound does (1 damage every turn after the purchase, since the Pixie negates the Tarsier’s longer build time). However, the Hellhound comes with an additional Engineer, making it considerably more cost-efficient than the Tarsier and Pixie, especially if the Engineer can be put to good use as a defensive unit or energy supplier. The extra Engineer that each Hellhound comes with is key to Hellhound’s strength. Though Hellhound is still a decent unit when the extra Engineers are only used for defense, the unit truly shines in situations where the extra Engineers can be used to add value in other ways. Electrovore is the most common example of a unit that synergizes well with Hellhound. A Hellhound plus an Electrovore, when bought together, yield a total of 2 damage per turn worth of attack for a cost of only 9BRR (a full 2 gold cheaper than a Cauterizer, closer to the cost of a Hannibull but without the drawback of being Frontline). Moreover, this cost can be split across multiple turns if needed. Fission Turret can be combined with Hellhound in a similar manner. Antima Comet is another example of a unit that benefits from the extra Engineer that comes with every Hellhound. It’s possible to open with Hellhounds, switch to defense before any Engineers must be sacrificed, and then construct an Antima Comet to deal extra damage using the extra Engineers. Tesla Coil is another Engineer-using unit that can combo with Hellhound in some situations. Often in games where Tesla Coil is one of your key attackers, you need to constantly spend 2 gold per turn per Tesla Coil just replenishing your stock of Engineers so that your Tesla Coils can continue firing. Hellhounds instead provide an alternate method of reconstructing engineers, and can effectively act as 3BR Tarsiers with construction time 1 in cases where the Engineer would otherwise be a “must-buy” unit. Hellhounds also effectively extend the supply limit of 20 Engineers (which is frequently relevant in Tesla Coil games), as they do not consume any Engineer supply when constructed. The cost of Hellhounds has a very low ratio of gold to coloured resources. This allows a variety of low-Drone builds to use them as a key purchase almost every turn off of a single Animus and Blastforge, without wasting blue and red resources. Instead of the 13 Drones required to efficiently use those structures in the base set (building 2 Tarsiers and a Wall every turn), it’s possible to build a Hellhound and a Tarsier every turn with only 9 Drones. This allows for some very efficient and quick rushes that don’t suffer from the problem that Animus-only rushes have: not being able to construct Walls. Hellhounds are very cost-efficient at both attack and defense. Strong rushes put on as much heat as possible, but also need to offer some resilience in case the opponent counter-attacks. The extra engineers that come with each Hellhound add a bit of extra defense at very little cost, helping to support the rush and keep it alive longer. In both cases, players end up with 10 Drones, an Animus, a Blastforge, a Wall, some attackers (Hellhounds and Tarsiers), and some Engineers. From here, it’s possible to pump a Hellhound and a Rhino every turn, switching away from Hellhounds to Walls when defending becomes more urgent. Both players also have the option of building Walls sooner if necessary (which can be useful if the opponent opts for an aggressive response), but doing so may cause a red to be wasted. Player comparison: Hellhound rushes don’t tend to strongly favour either player, as both players have good timings and options to play more defensively if necessary. With the build orders listed above, player 2 gets the Wall out half a turn sooner, and player 1 snags an extra Hellhound as compensation. Player 1’s build is probably slightly better against passive opponents, but player 2’s early Wall might be favoured against aggressive responses. Variations: The classic “red rush” units like Electrovore, Grimbotch, and Perforator can enhance the effectiveness of Hellhound-based rush builds, because they provide other options that are often stronger than pure Tarsier play. Chilling units like Iceblade Golem or Frostbite can also be effective if the opponent opts for a defensive or breach-vulnerable strategy. A final use of the Engineers constructed during Hellhound construction is in building up a larger economy. Often players don’t get attackers like Hellhounds until after they’re mostly done with constructing Drones, but there are some situations where one or two early Hellhounds are used only to lightly harass the opponent while supporting a big economic play. Here’s one example that uses Chrono Filter, popularized by Fridaytime on reddit.